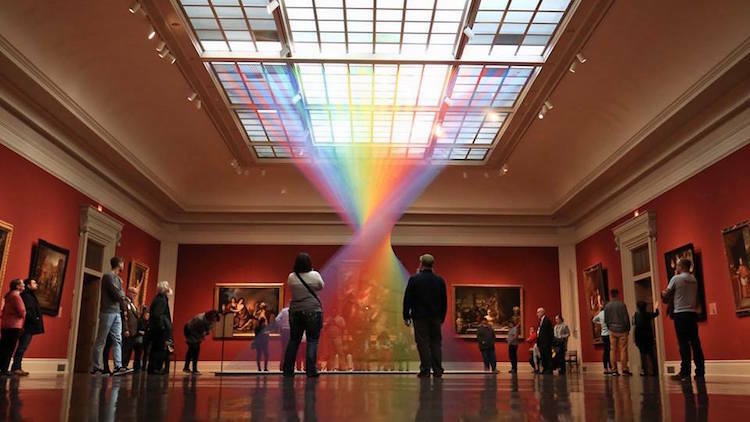 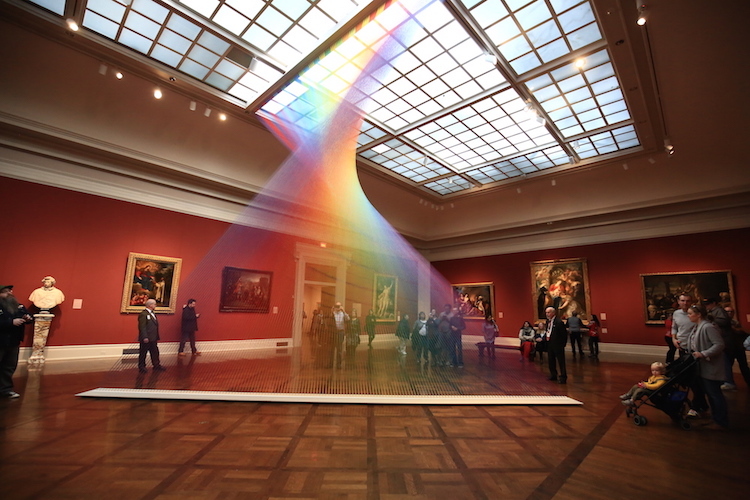 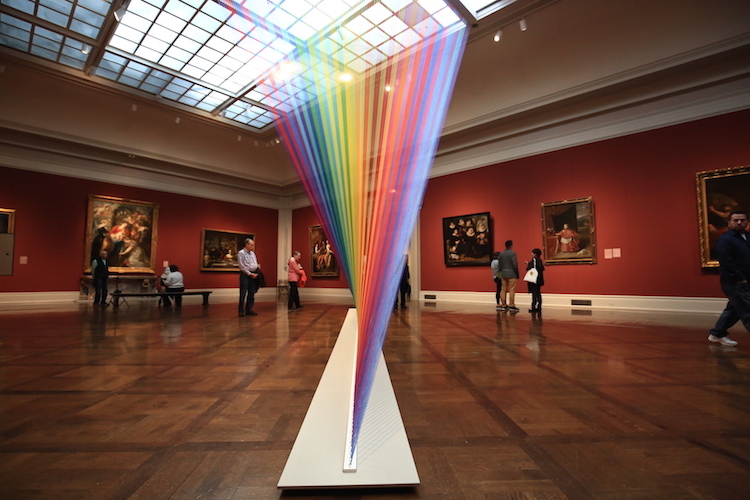 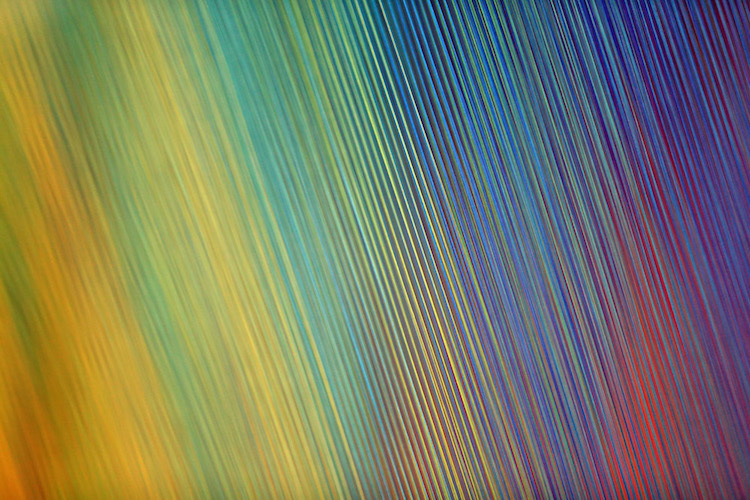 Mexican artist Gabriel Dawe comes back with a new artwork titled Plexus 35. 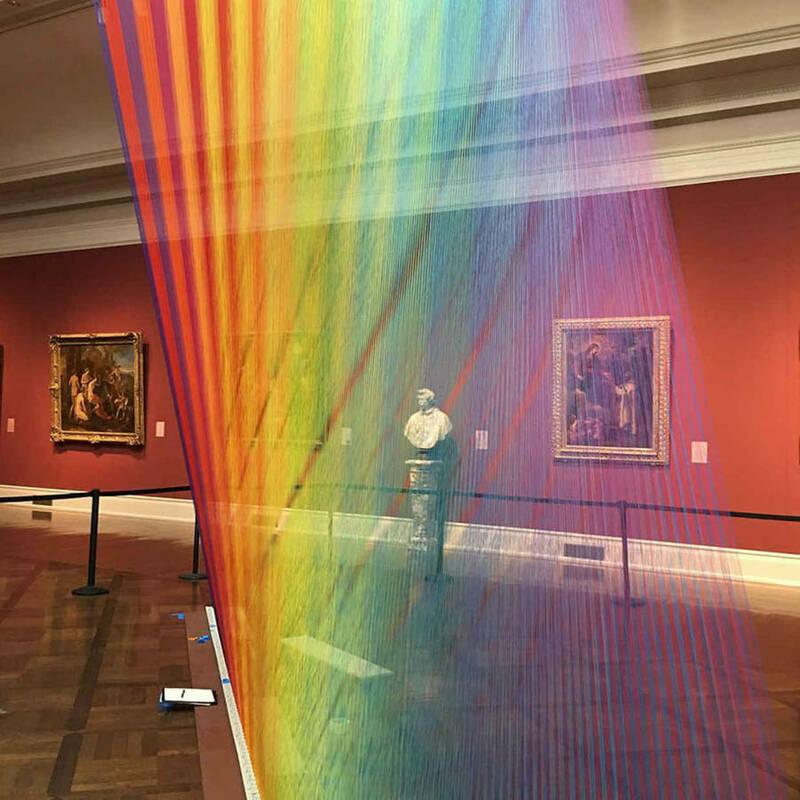 Born of his love for embroidery, the project is made of different installations with several colored threads which played with the light of the spaces they invest. 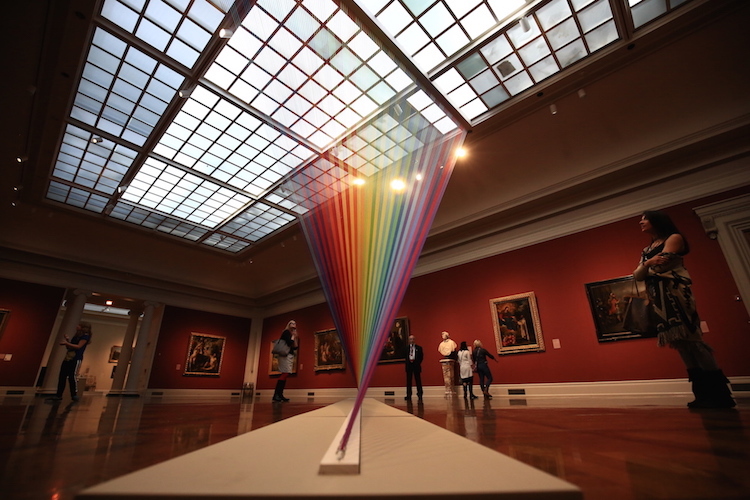 Here, in Toledo Museum in Ohio, beside Rubens or others masterpieces, contrast is astonishing.